Several times a month we receive phone calls from an engineer, contractor or distributor asking for information or pricing for a "hot box". Now, what they are really calling us about is a Safe-T-Cover™ but the industry tends to call an aluminum backflow enclosure a hot box enclosure. And it’s the same for Hot Box®. Many different products go by the name hot box. Enclosures are just one of them, but it's still the most common term people use when specifying a heated enclosure on a project, or search for aluminum enclosures online. So just how did this brand name become the eponym for the insulated aluminum backflow enclosure? Most people don’t know that Hot Box and Safe-T-Cover were founded at almost the same time in the late 1980’s. Prior to these companies getting off the ground, if a backflow device was installed above ground, a building of some type was built around it. As is typically the case, necessity is the mother of invention and both companies said "there’s a better way to cover these devices." Now, the insulated aluminum enclosure market was born. Hot Box did a really good job years ago establishing itself as a manufacturer of a product that was better than what had been used and popular in the past. They went to water works departments and civil engineering firms which helped to establish the foundation of the insulated aluminum enclosure market. Safe-T-Cover and the other backflow enclosure manufacturers benefit from the hard work done by Hot Box nearly 30 years ago. These days, Hot Box is no longer a privately held company and has been sold a couple of times, most recently to industry giant Hubbell® in 2008. Safe-T-Cover remains a privately held company in Nashville, TN. So What Is Considered A Hot Box? Generally, when someone specifies or is looking to buy a hot box, they are looking for a heated enclosure to protect waterworks equipment. The most common use right now is for backflow preventers. These heated enclosures can be made of aluminum or fiberglass. 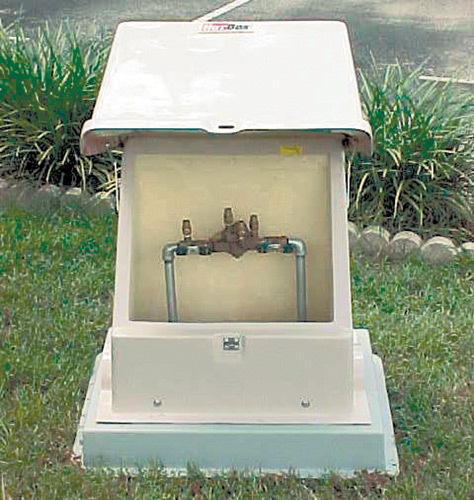 When used for backflow prevention protection, heated enclosures need to be ASSE 1060 certified. That means they are rugged and can be used to protect agains wind and snow loads. They will also be lockable, and have adequate drainage. Different classes of ASSE 1060 enclosures will be either insulated or actually kept warm by an installed heater. Any brand of enclosure that has been ASSE 1060 certified will have the characteristics needed to protect your equipment. From an insulated aluminum enclosure standpoint, there is no measurable manufacturing difference as a Hot Box and a Safe-T-Cover enclosure both comply with the requirements of ASSE standard 1060. There are two differences between our enclosure packages and those of Hot Box. First, Safe-T-Cover offers a patented slab-mounted heater that is superior to any other enclosure heater on the market. The heater heats the slab as well as the air within the enclosure to keep the equipment from freezing in the winter. This heater meets the wet/damp requirement of UL 2021. We've written a blog about the differences between slab mounted and wall mounted hot box heaters. Second, Hot Box has a strong position in the smaller diameter market for 1” and 2” backflow devices with their fiberglass enclosures. 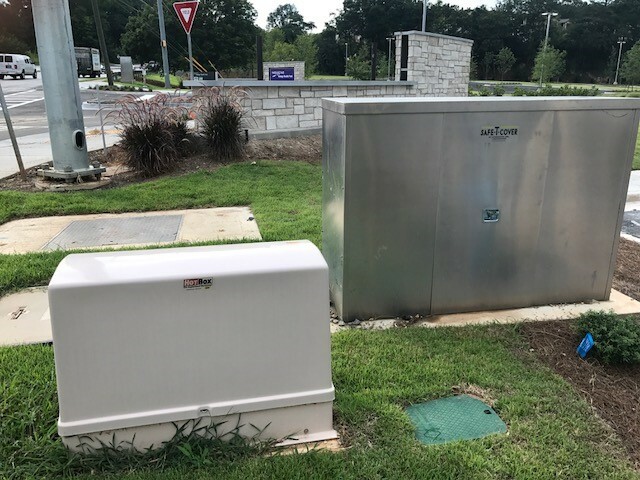 In some markets, the fiberglass enclosure is the only thing a plumber will install even when an aluminum insulated enclosure costs the same and is more durable. So there you have it. We’ll probably always call an adhesive bandage a Band-Aid and a facial tissue a Kleenex. The next time you think about hot box enclosures, maybe you really mean an insulated aluminum backflow enclosure, or a Safe-T-Cover.